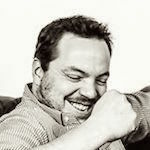 I am a product builder and software developer working in Berlin and remotely. I help startups turn their product ideas into working software and enjoy hands-on software development. I currently work as CTO for liefery.com where we are building a fully-featured last-mile logistics platform for predictable and convenient deliveries. You can read more about our engineering team on our engineering blog. Product workshops: You have a product idea but need guidance how it can be turned into working software or apps. Interim engineering lead / CTO: You need an engineering lead to get started while you are looking for the perfect match or you need to fill a temporary gap. Tech due diligence: You need second opinion about the technical foundations of a product or a startup. For this I bring 20 years of professional IT experience with a focus on agile development, product building, growing and managing engineering teams, internet applications, e-commerce, logistics, marketplace platforms, mobile apps, databases, scaling and performance optimization, remote work, content management and IT-infastructures. I was brought in to architect and build a same day delivery platform (read: Uber for couriers) for the Web, iOS and Android. 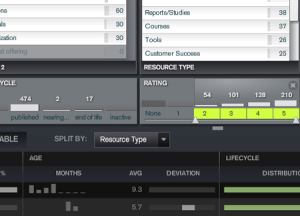 For added difficulty, the platform had to work as a drop-in replacement for an existing legacy solution. We went from scribbles and Post-It notes to setting up a multi-team agile process (a scrum of scrums like approach) to building the platform using Rails and AngularJS and delivering the first working release. 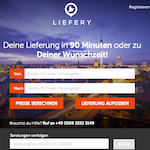 You can now use www.liefery.com in Germany it for ultra-fast or ultra-convenient deliveries or to send flowers to your girlfriend. 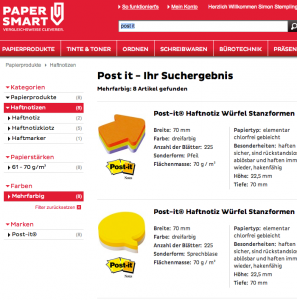 Check out the German price comparison site www.papersmart.de. I joined Papersmart in 2011 as co-founder, CTO and hands-on developer. We built a full custom e-commerce marketplace in Rails from scratch with many unique features like a shopping cart based price comparison, automatic detection of equivalent products and splitting orders between vendors to save more money. The site is optimized for speedy user interaction and has many features you would like to see in most e-commerce sites as our customer reviews show. I joined BizSphere AG as a co-founder and first developer in 2006, responsible for shipping an ambitious product idea to a global enterprise giant within a few months. We did! And soon after that I found myself onboarding and coordinating developers located across 12 timezones, negotiating requirements with enterprise IT-departments while writing code in Java and Rails and automating infrastructure deployments in the cloud. There were several traits of Simon that impressed me from the start and that I grew to rely on over the years. First of all, Simon has an immense competence in enterprise java, frameworks… short: he was the master of our entire software backend. As a colleague, I valued his reliability and willingness to help out and be a team player. Being very organized and proactive at the same time, he was a constant driver of improvement in our organization. Not only did we trust fully in his reliability and integrity as a colleage and co-founder, but we also elected him into our supervisory board where he represented the founder team for many years. Simon is a very driven and motivated professional. As project and requirements manager you could always count on him, swiftly solving issues, regularly communicating with the client and maintaining a good morale amongst his team members. Please email me if you are interested in working with me. I'm Simon Stemplinger, I build products with software. Currently working as CTO of Liefery, former CTO of Papersmart and CTO of BizSphere AG. Please get in touch with me at @stemps on twitter or by email. Subscribe via RSS or via Atom.